Brighton Ford : What Can We Expect from the All-New 2016 Ford Focus RS? What Can We Expect from the All-New 2016 Ford Focus RS? BRIGHTON, Mich. - The 2015 North American International Auto Show is nearly here, which means it is time we mentally prepare ourselves for all of the mind-blowing innovations that Ford Motor Company has in store for us. We are especially excited for one of Ford's most anticipated reveals, the all-new 2016 Focus RS! Now, what exactly can we expect from the all-new 2016 Ford Focus RS? Let's just say, this model is said to come with a list of much stronger credentials than the previous model that was first launched in 2002. The word on the street is that the 2016 Ford Focus RS will have the 2015 Mustang's 2.3-liter EcoBoost engine underneath the hood, you know the one that produces 330 horsepower, and have the capability to hit a speed of 155 miles per hour! There are several performance cars that will be revealed at the 2015 NAIAS, but the all-new 2016 Ford Focus RS is expected to be the highlight of Ford's display. 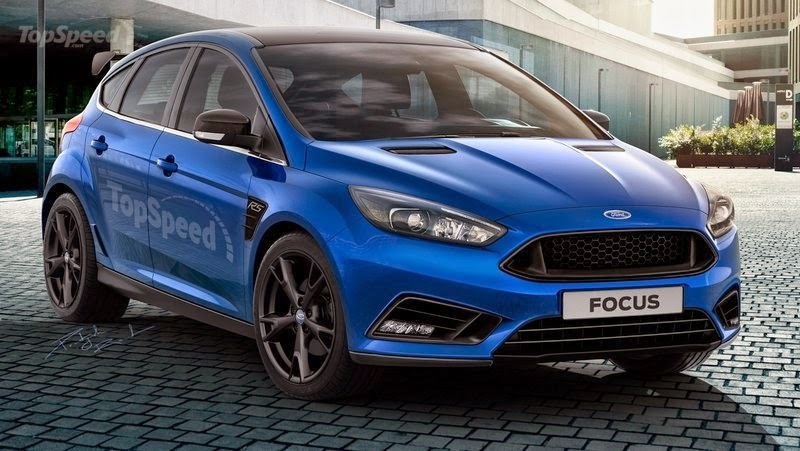 Rumors are swirling, saying that attendees will be completely surprised by Ford's latest and greatest performance cars which not only include the 2016 Ford Focus RS, but also a brand new version of the 2014 Ford Fiesta ST! The 2015 North American International Auto Show opens to the public next Saturday, January 17th. Be sure to check back with us on our blog throughout the next few weeks; Brighton Ford will keep you updated with all of the show's details! Brighton Ford is located at 8240 Grand River Ave. just north of I-96 in Brighton. We are a family owned and operated business that strives for customer satisfaction. For more information on Brighton Ford visit BrightonFord.com or give us a call at (800) 836-7417.